Gloria Jean Watkins was born in September 1952, and raised in Hopkinsville, Kentucky – a small, racially segregated town. Her neighborhood was a small and simple one that faced a lot of hardships due to racism and prejudice. It was during her childhood and early years that she learned to resist racism and also had her share of good and bad experiences that helped to shape her thoughts on feminism. Both her parents worked for white families to raise their six children. Hooks went to a segregated public school, where the African-American teachers played a key role in shaping her self-esteem and self-respect while teaching her to read and write. By the late 1960s, when Hooks was ten years old, Kentucky schools became desegregated and the black children were allowed to go to the same school as white children. Hooks started composing poetry and became popular for her skill to recite it well during this time. Even though she was a quiet and well-mannered young lady, she went on to become a woman who could “talk back”. This helped develop a strong sense of self-esteem that allowed African-American women to protest against racial discrimination and sexual abuse. She went on to writing poetry and even published some of it. In the meanwhile, she also earned a reputation for writing critical essays on the dominant systems. However, it was becoming difficult to use her own name and thus she started to use a pseudonym when she came out with her short book of poems. She also decided to keep her first and small names “bell hooks” in small letters to emphasise her work and not her name. After finishing her high school, she went to Stanford University, California on scholarship. Along with her studies, she began to write, ‘Ain’t I a Woman,’ her first book, when she was only 19. Working as a telephone operator and writing a book was no easy job with full time studies and finding time was the most difficult thing for her. However, while during her job, Hooks also found a number of black women whom she befriended and loved dearly. It took Hooks six years to draft the manuscript of her book before she was really satisfied. She had considerable problems publishing her book but she eventually found South End Press, her publisher at a feminist bookshop in San Francisco. “Ain’t I a Woman”, went on to become the topic of discussion on discrimination and prejudice when it was published in 1981. After eleven years, it was ranked among “twenty most influential women’s books of the previous twenty years” by Publishers Weekly. 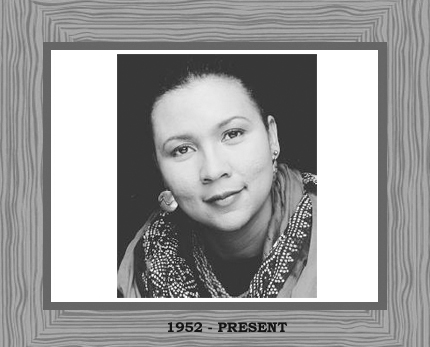 “Ain’t I a Woman” was not enough for Bell Hooks; she had become a respected name in feminist debate and she carried on with her work. She obtained a doctorate in English literature and started her career as a teacher. Hooks felt that it was the most important job that she was doing by educating people who were historically and legally kept away from this right. She believed teaching to be the most significant form of political confrontation and thus she chose it to help her people. First she taught in University of California in Santa Cruz, California but left during the early 1980s and went to Yale University in New Haven, Connecticut. It was here that she was offered a chance to teach African-American Studies. She joined the faculty at Oberlin College in 1988, in Ohio, where she taught Women’s Studies, a program that offered the racism evaluation. In 1995, Hooks moved to City College of New York and also published her new book “Killing Rage: Ending Racism,” that talks about practical approaches to solving racism problems. Hooks is still a very influential figure in battle against racial discrimination and wants to fight till the end of her life. A writer, professional and a social critic, she is without any doubt one of the most successful “cross-over” academics of this century. Her writing continued with “Communion: The Female Search for Love”, in 2002 along with numerous others!